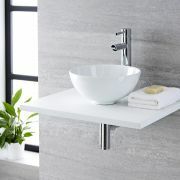 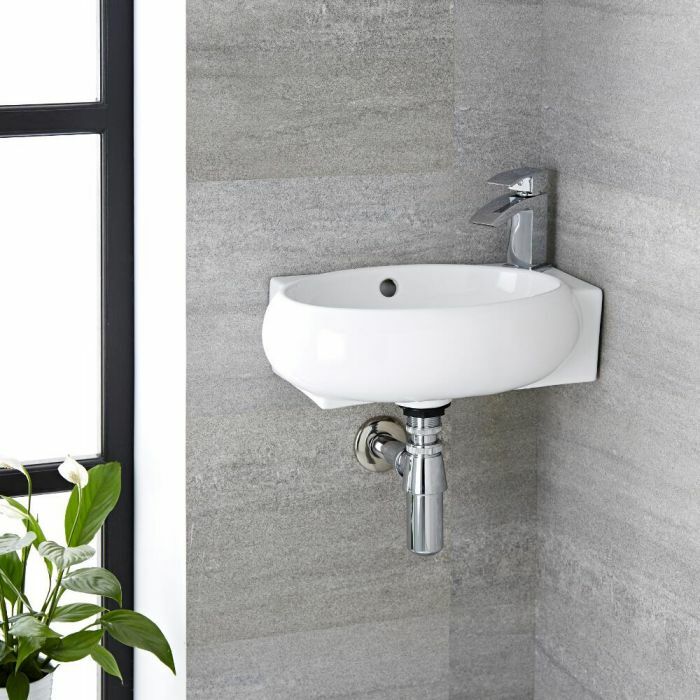 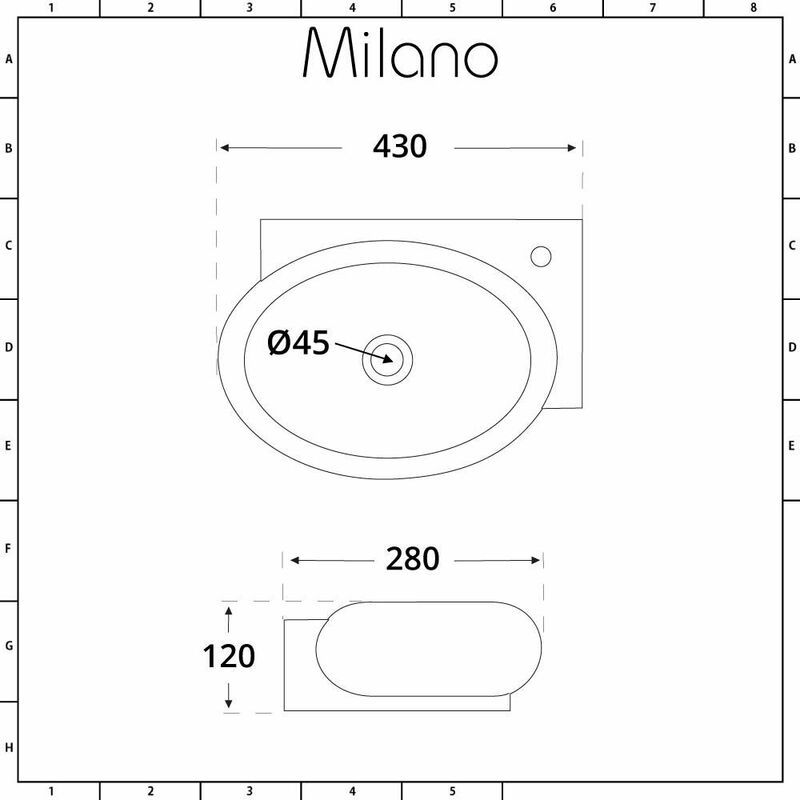 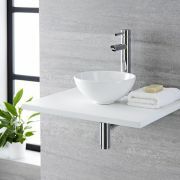 Freshen up your en-suite or cloakroom with the sleek and modern Milano Irwell 430mm x 280mm wall hung corner basin, ideal for installation in even the tightest corner. 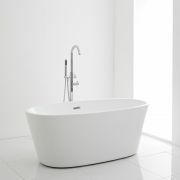 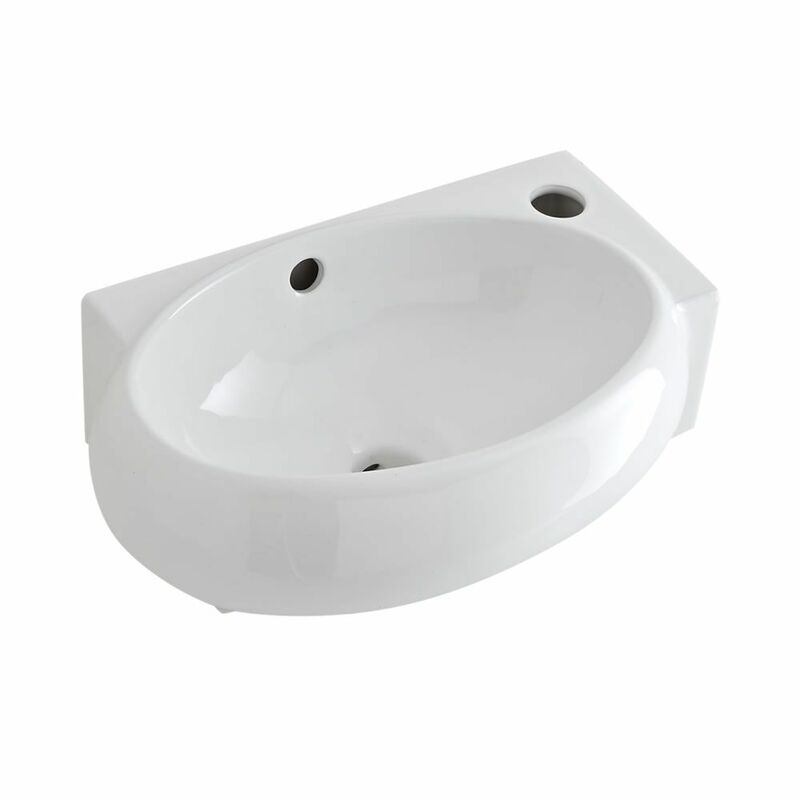 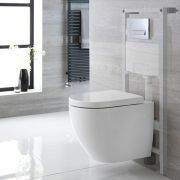 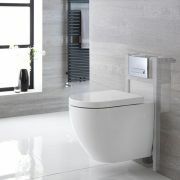 Made from premium quality ceramic and completed with a durable easy to clean white glaze finish, this wall hung basin will bring a fresh and contemporary style to your bathroom. 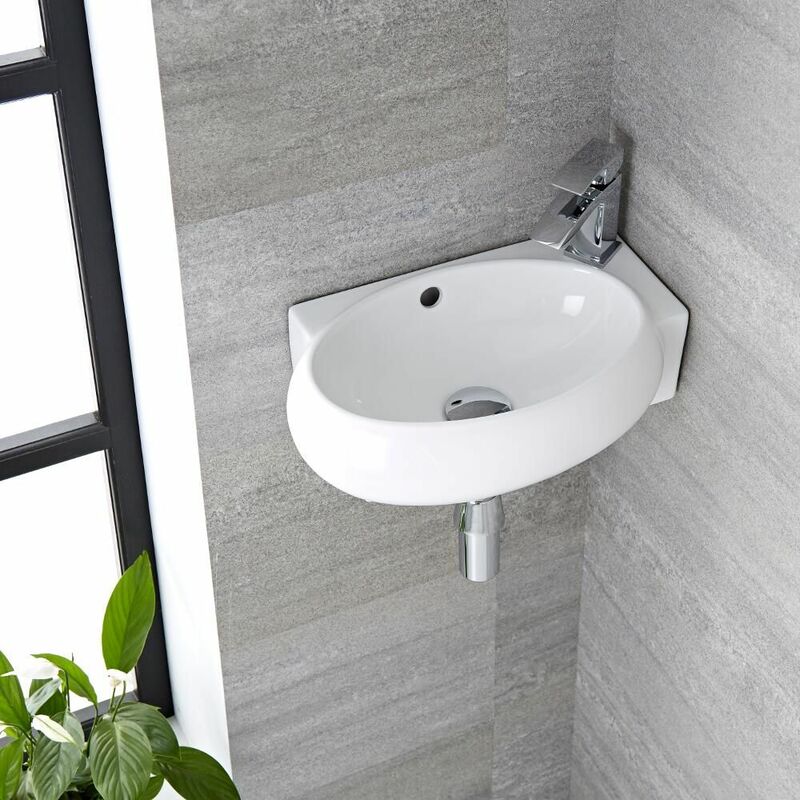 Featuring a single tap-hole, the basin can finished off with any of our mono basin taps to complete the look.